You truly are what you eat. Your health, energy, mood, and how young you look is based on your diet more than anything else, so why fill your stomach with anything but the best? The optimal human diet is whole, fresh, raw, ripe, and plant-based. Most of the diet is fruit, but it also contains plenty of leafy vegetables and a limited amount of overt fat. Read about how greens play a critical role in the diet here. This way of eating adheres naturally to the formula of at least 80 percent of calories from carbohydrates, a maximum of 10 percent from fat, and up to 10 percent from protein. How do you do in comparison? The average American eats about 40-50 percent of calories from carbohydrates, 16 percent from protein, and 30-45 percent from fat. Much of the fat is from meat, eggs, and dairy, and many of the carbohydrates come from processed and denatured sources. A very small portion of that diet is made up of raw fruits and vegetables. A frugiverous raw food diet blows it away in terms of nutrients and ease of digestion. You don't have to sit with a calculator to figure out if you're following the diet formula because if you eat proper foods, the ratio will be in line. Go ahead and consume fruit until satiation three times a day. All but the few fatty fruits -avocados and durians, for instance- are fine to eat in whatever amounts you like. Follow up dinner with a huge bowl of salad. Plug everything into a website like Nutridiary.com if you'd like to verify that you're on track - Yep, you're eating right; it's that simple. That's pretty much the diet in a nutshell, and your key to raw, fruitarian paradise. Wondering if you're meeting your RDA nutrition requirements? Find out. Worried about not getting enough protein? Read all about the body's needs here. Wondering if you should be supplementing with superfoods and vitamin pills? Click here. The foods you'll be consuming on a healthy fruit-based raw food diet are also less calorically dense, so you can, and you'll need to, eat more mouthfuls. Forget about dieting and counting calories. Let hunger be your guide for once. If you're truly hungry- a sensation that is felt in the chest or breastbone, and not the stomach, which rumbles when emptying- eat till you're satiated. Have you ever noticed that even after large dinners that fill your stomach you're still craving something? More often than not that something is sweet, so you eat dessert to satisfy yourself. That should tell you something. Your body is designed to run off of simple sugars, and only plenty of simple sugars from fruit on a raw food diet will fill that nagging hunger or craving for something that stays with you. For details on how to defeat cravings once and for all, read this article. Because most people are used to eating small quantities of high-calorie food, you may need to work on expanding your stomach's ability to stretch when you first change to a raw food diet. That's ok, because the vast majority of people are under-muscled and over fat, so the weight you lose while adjusting will be welcome. You'll eventually want to track your calorie intake for a few days to make sure you're on course, however. Let's imagine you're a six foot tall male who weights 170 pounds. You go for a morning run for about 45 minutes at about 7.5 mph. You're a sales clerk, so you spend a lot of time walking around. A quick stop over to nutridiary.com will tell you that without the exercise I would need 2,984 calories. The running ads 722 calories, bringing me to 3706 calories I need to replace in a day. Feeling A Bit Overwhelmed By All This? Sign up for the raw food health journal below at no cost and receive Andrew's Quick and Dirty Guide To The Raw Food Diet for free. 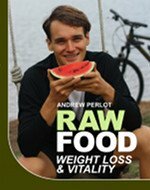 Learn the simple rules to raw food success and get updates through the journal. For breakfast you might eat a luscious, juicy watermelon in two sittings, which accounts for 1,355 calories. Your lunch is a banana smoothie, or 12 medium bananas, which equals 1,260 calories. Your dinner is 10 kiwi fruit (464 calories) , followed about an hour later by a large bowl of salad with four tomatoes, a small piece of avocado, and some assorted vegetables (235 calories). For a snack you may eat 100 grapes at 161 calories. The grand total is 3,571 calories for the day, and your ratio is at six percent fat, seven percent protein, and 87 percent carbohydrates. Perfect. If this seems like a lot of food to you, don't worry. If you're not doing a ton of exercise (though you should do some) you'll need less. A 5-foot-tall nonathletic woman would only eat a fraction of what a 6ft tall runner would. He'd need to eat more on a cooked food diet as well. But I enjoy the quantity of food I consume, and you'll find yourself loving this diet as well. If you're sedentary or eager to lose weight quickly, feel free to eat less, but be aware that when you're under eating on calories you may start to get cravings. To set up your own free individual health plan to make sure you're on the right track, click here. 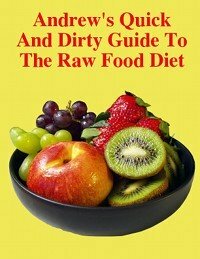 This is only meant to be a brief introduction to the raw food diet and the science behind it. Additional pages of information are located around the site. Feeling daunted by the idea of switching your diet dramatically? Take a smart first step on the path a simple switch to the ultimate vegan breakfast, the banana smoothie. 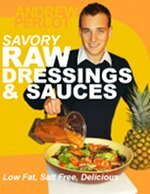 Want an all-inclusive guide to adopting a healthy raw food diet? 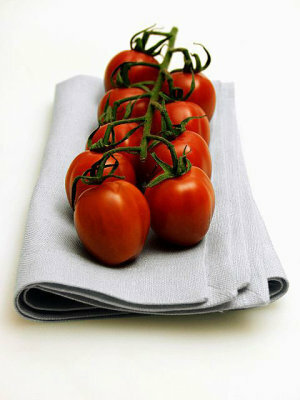 Get all your questions answered in questions answered in Raw Food We. Hope you enjoy the site, and happy eating. (1) "Trends in Intake of Energy and Macronutrients- United States-1971-2000," Morbidity and Mortality Weekly Report, February6,2004, pp.80-82. Department of Health and Human Services. Centers For Disease Control and Prevention..
How to control your cravings. 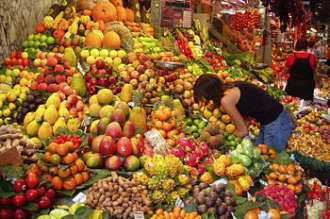 Is a healthy raw food diet fruitarian? Create an individual health plan. What about a partial raw diet? Understand the importance of greens in a healthy diet. Why your raw diet should be low fat. Anything wrong with hybrid fruit? 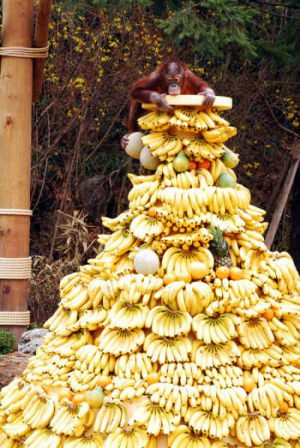 How it feels to be on a raw food diet. How to have an amazing thanksgiving on a raw food diet. Why the only sane diets are low fat raw vegan. Learn how to eat healthy monomeals. How your diet greatly effects how happy you are. Escape food addiction with raw foods. Establish healthy gut flora by eating right.